There are so many different types of knitting needle out there to choose from. Why so many and are they really that different? 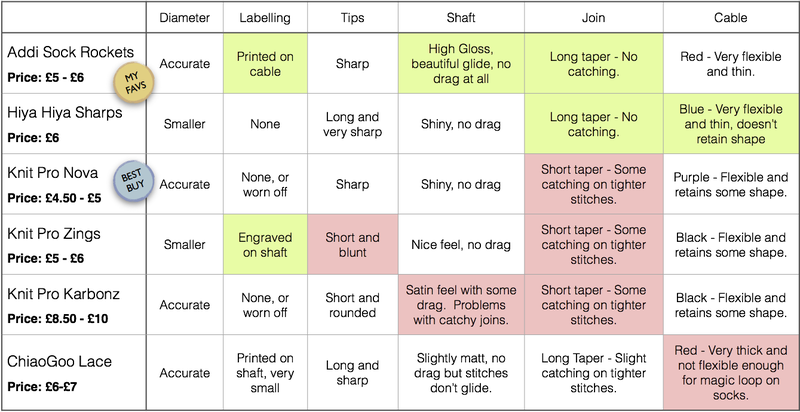 Deciding on which needle to buy can be tough when you are starting out and it can be hard to know where to begin and what to spend your money on so I thought it might be useful to compile a little information for you and chat a little about the needles that I own and have used so far. 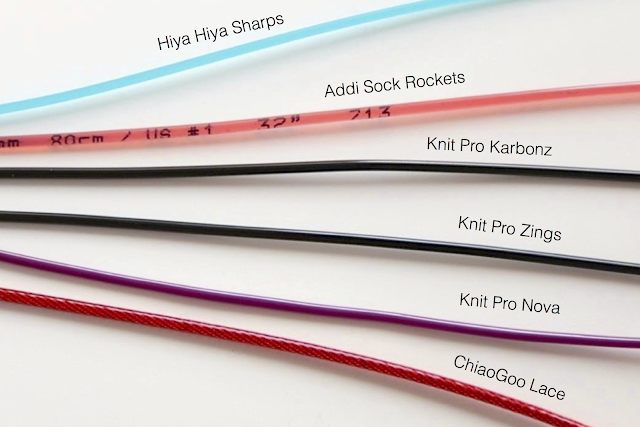 Finding the right needle is largely a matter of personal taste as we all have our own ideas about what makes the best kind of needle to knit with and the video review below will no doubt be tinged with my own preferences. 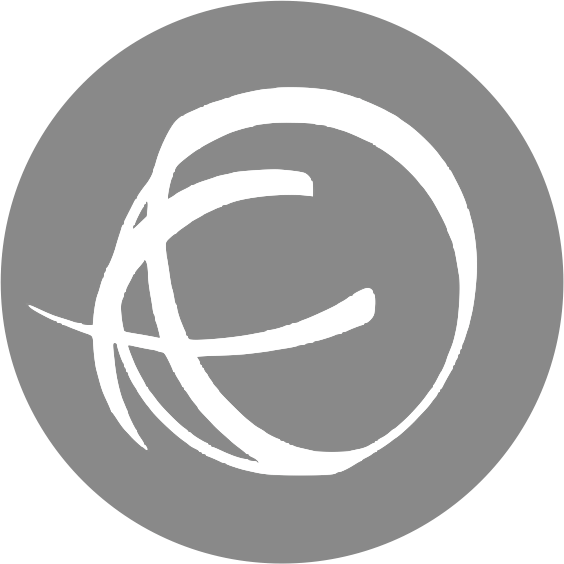 Still, there are plenty of things to compare and look out for so I've tried to be as subjective as I can for you. I think these are about perfect for me. 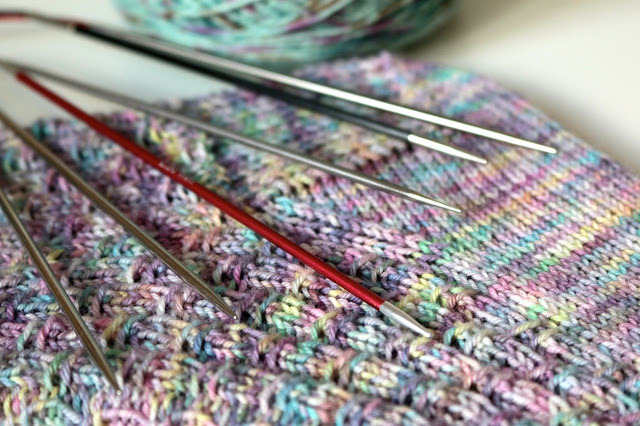 The cable is very flexible, the join is good and the needles themselves are just so wonderfully smooth and the stitches just glide over them for a nice, fast knit. The tips are pointy enough to work tighter stitches and yet not so sharp they hurt. 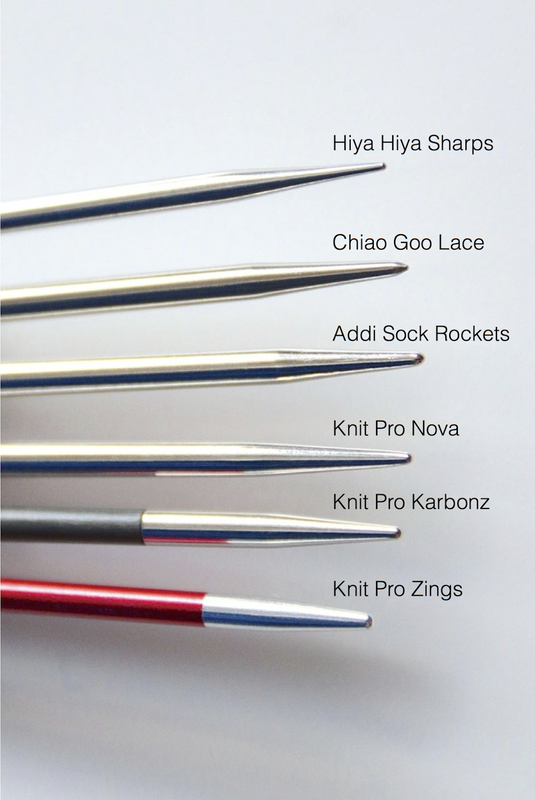 If you like a super sharp point, these have to be the best needles to choose. They will work into the tightest of stitches and are the best tips for picking up a dropped stitch. 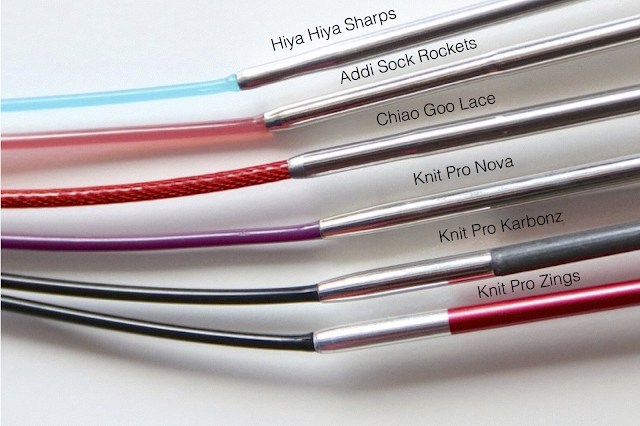 The cable is super thin and flexible, the needles are smooth and fast and the join between the two is perfect. If I didn't push the tops of the needles with my finger when I knit, these would be my winners. 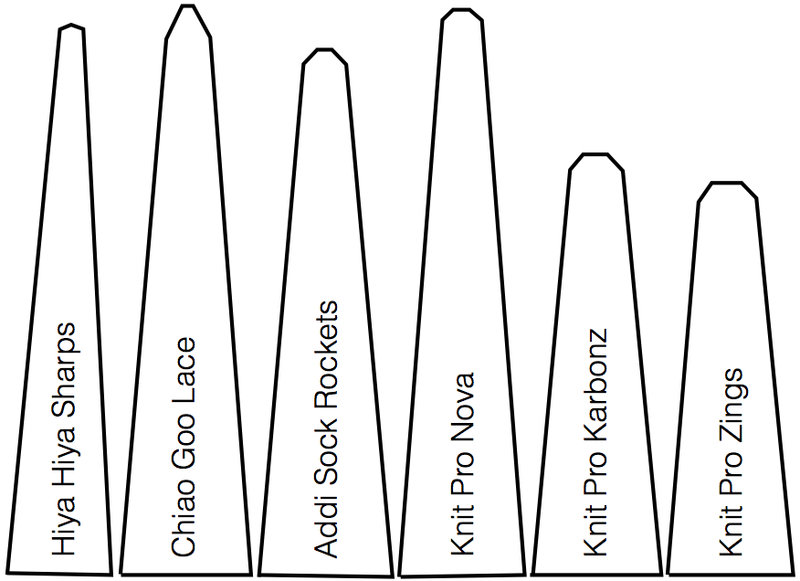 These are the cheapest needles in the review and probably represent the best value needle as they are nearly as good as the top two needles in most areas. I do hope this might help you narrow your choice down a little, or maybe it'll tempt you into trying something new. Either way, I hope you enjoyed it and if you have any recommendations for me, please do let me know. PS - This is a sponsored post or anything, I just thought it might be fun. PPS - Actually, the lovely Heather from Pink Milk did send me the Karbonz, but that's just because she's a sweetie!